This deck has been quite underplayed on ladder, yet it was used by 23 out of 76 players at the NA HCT. The Hearthstone Championship Tour is always an exciting time for the game, and this year’s Winter Playoffs is no exception. 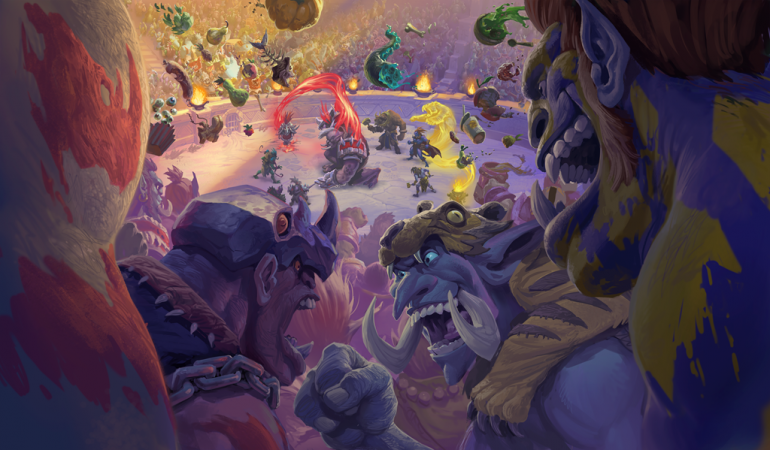 The HCT is where players showcase their ability to play the game at the top level, and this means we usually see an overwhelming amount of meta decks being used. An interesting deck that had quite a showing at this year’s HCT in America, however, is Holy Wrath Paladin. This deck has been quite underplayed on ladder, yet it was used by 23 out of 76 players at the NA HCT. Part of the reason for this is probably how well the deck performs against other meta choices like Odd Paladin, Spell Hunter, and Control Priest. Let’s take a look at some of the packages within HCT World Championship qualifier Brian “bloodyface” Eason’s version of the deck. At its core, Holy Wrath Paladin is very much a Control deck. A good portion of the early game will be spent holding off your opponent’s threats for as long as possible. While holding off these threats, you’ll be building toward a specific late-game combo that devistates your opponent in one or two fell swoops. Pretty standard Control playstyle, right? 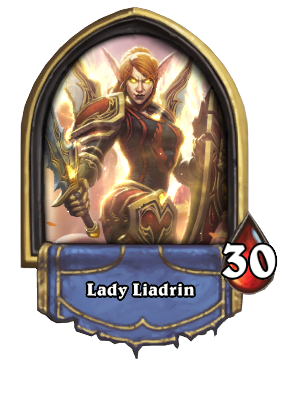 Where Holy Wrath Paladin differs from other Control decks is the way it performs these tasks. Your early game will be spent trying to out-value your opponent’s board with cards like Righteous Protector and Novice Engineer. Righteous Protector is a one mana cost, one attack, one health minion with Taunt and Divine Shield. Novice Engineer is a two cost 1/1 minion that allows you to draw a card the turn it is played. These low cost minions will help you trade with your opponent while also allowing you to cycle through your deck and track down the cards you need for your combo. The deck also has a plethora of board clear and survivability options to get you through to the late game for your big combo. You’ll be running Wild Pyromancer and Equality as your main big board clear option, but you’ll also have Consecration in your back pocket just in case. 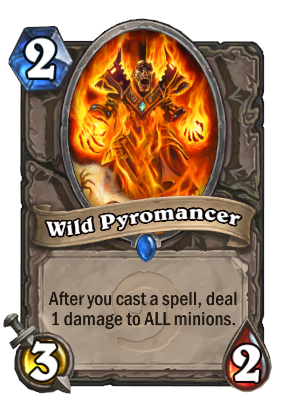 Wild Pyromancer is a two cost 3/2 minion that deals one damage to all minions after you cast a spell. Equality is a two cost spell that changes the health of all minions to one. This combo can wipe out some of the biggest most threatening boards thanks to Equality and its ability to change minions’ health. You’ll also be running the new Rastakhan’s Rumble card Time Out. This card is a three cost Paladin spell that makes your hero immune until your next turn. This means your opponent won’t be able to do any damage to your life total, nor will they be able to target or freeze you. This card is a fantastic way to buy time while you set up the very last bit of your combo. So what exactly is your combo? The win condition for this deck revolves around three main cards. Holy Wrath, Shirvallah the Tiger, and Baleful Banker. You’ll also be running Uther of the Ebon Blade as a backup win condition, but you’ll usually be able to finish off your opponent with these three cards. Once you have all three cards in hand, hold off your opponent until you have no more cards left in your deck. Shirvallah is a 25 mana cost 7/5 minion with Divine Shield, Rush, and Lifesteal. Shirvallah also cost one less mana for every spell you’ve cast so far in the game. This means if you play Shirvallah at the end of the game, usually he will be played for zero mana. After you play Shirvallah, you’ll want to play Baleful Banker and select Shirvallah as its target. Baleful Banker is a two cost minion that allows you to shuffle a copy of a minion into your deck. Since you’ve already ran out of cards at this point, Shirvallah will now be the only card in your deck. Holy Wrath is a five cost spell that allows you to draw a card and deal damage equal to its mana cost. This means when you draw Shirvallah, you will be able to Holy Wrath your opponent for 25 damage. If something happens along the way and you are unable to pull off the Shirvallah/Holy Wrath combo, you can still win using Uther of the Ebon Blade and his ability to summon the four horsemen. If you summon all four unique horsemen, your opponent’s Hero will be destroyed. Holy Wrath Paladin is very much a One Turn Kill (OTK) deck, but it plays in a way that makes it feel like you have more options if something goes wrong. Having numerous ways to finish off your opponent allows you to be punished less for mistakes you make as the game progresses. If you are someone who enjoys Paladin and are interested in crushing the current Aggro meta, Holy Wrath Paladin might be worth your time.